Known for his red battle shirt and his hard-hitting attacks at the head of the famed Light Division, Ambrose P. Hill proved to be an example. 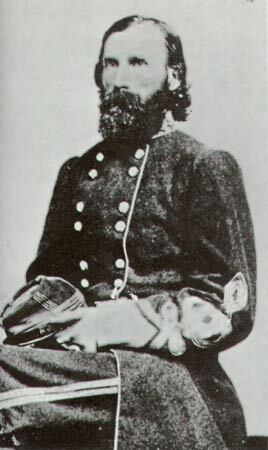 A West Pointer (1847) and veteran artilleryman, he resigned as a first lieutenant on March 1, 1861, and joined the South, where his services included: colonel, 13th Virginia (spring 1861); brigadier general, CSA (February 26, 1862); commanding brigade, Longstreet's Division, Department of Northern Virginia (ca. February 26 - May 27, 1862); major general, CSA (May 26, 1862); commanding Light Division (in lst Corps from June 29 and 2nd Corps from July 27, 1862), Army of Northern Virginia (May 27, 1862 - May 2, 1863); commanding 2nd Corps, Army of Northern Virginia (May 2 and 6-30, 1863); lieutenant general, CSA (May 24, 1863); and commanding 3rd Corps, Army of Northern Virginia (May 30, 1863-May 7, 1864 and May 21, 1864-April 2, 1865). In reserve at lst Bull Run, he fought at Yorktown and Williamsburg before being given command of a division. On the day he assumed command he directed the fight at Hanover Court House. He then took part in the Seven Days, distinguishing himself. 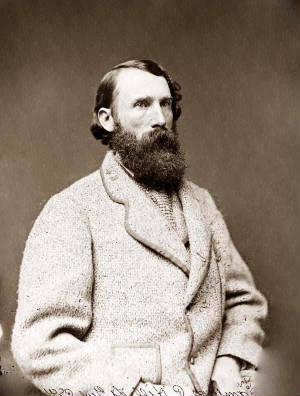 After fighting at Cedar Mountain, 2nd Bull Run, and the capture of Harpers Ferry, he launched powerful counterattacks at the right moment at both Antietam and Fredericksburg. At Chancellorsville he was on Jackson's famed march around the Union right flank. When Jackson was wounded, Hill took command of the corps but was wounded carrying out his chief's orders to "press right in." At the end of the month he was given command of the new 3rd Corps, which he led to Gettysburg where, suffering from a now unidentifiable illness, he put in a lackluster performance. He was responsible for the disaster at Bristoe Station that fall and, again ill, was virtually circumvented at the Wilderness when Lee in effect took over command of the corps. He relinquished command temporarily after the battle and missed Spotsylvania but returned for the North Anna and Cold Harbor. Taking part in the siege of Petersburg, he was again ill during part of the winter of 1864-65. With the lines around the city collapsing on April 2, 1865, he was shot and killed in an encounter with a stray group of federal soldiers. The 13th Virginia Infantry Regiment took part in almost all the major battles in the war.